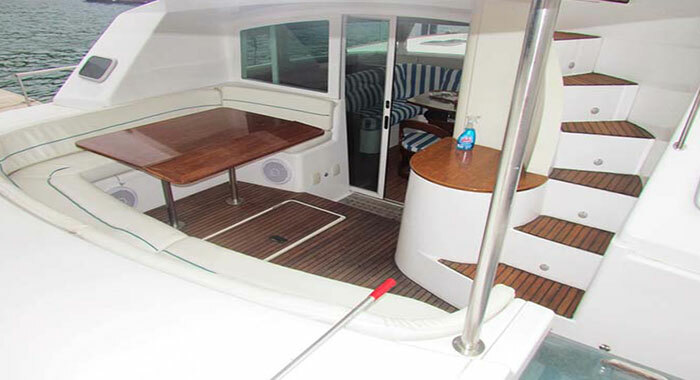 Power cat Lagoon 43 "
The 43 Power Cat challenges the design and esthetic of common vessels, the guests are welcomed with a giant sliding glass door which leads to the main hall. A 180-degree view through windows, give a relaxing environment in the warm living room. Equipped with a large table which lodges 8 guests comfortably. 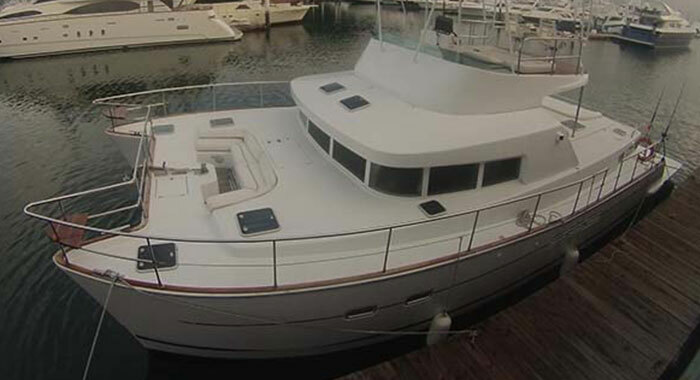 This boat has 3 cabins: 2 identical in both bows, each one equipped with its own bathroom. 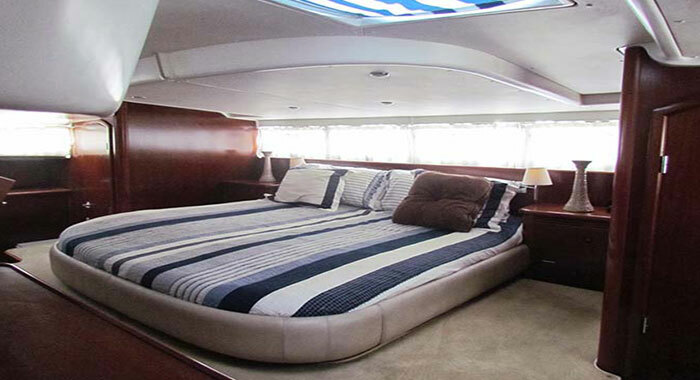 The main cabin has a king-sized bed which goes wall-to-wall in the Power Cat, it also has a bathroom and private showers. 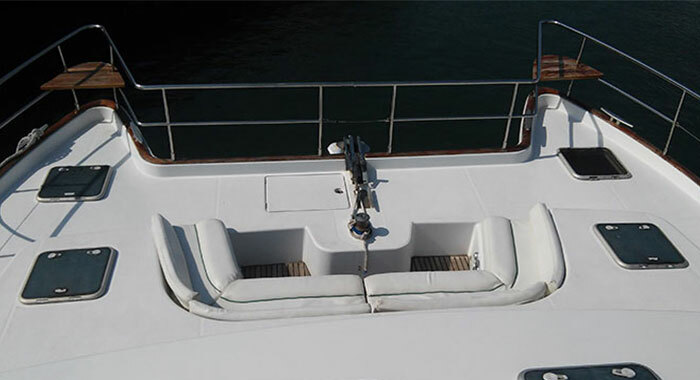 The foredeck has an inviting design with large U shaped sofas looking to the sea. 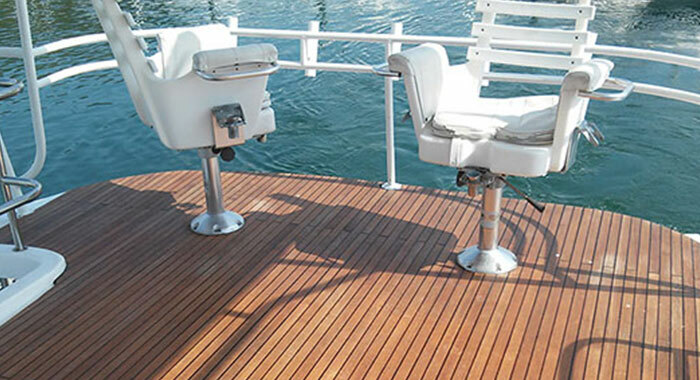 The bow platform is pretty wide, where there is also a water platform for a big variety of seawater activities to relax, while you can enjoy the sea doing snorkel or fishing (fishing equipment Big Game Fishing for free, no added cost). 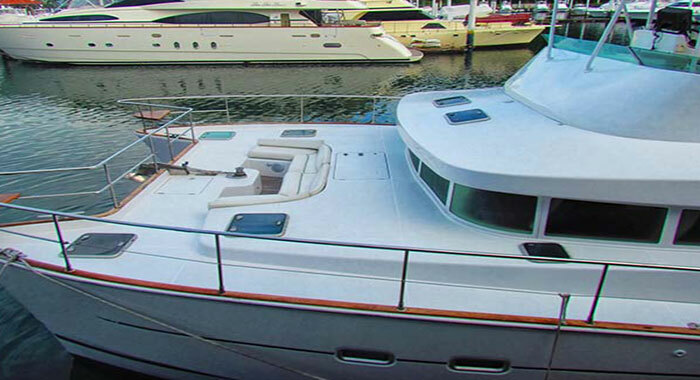 The fuselage cuts through the sea waves when it sails, giving a soft and comfortable sailing. Equipped with 2 Volvo engines of 200 horsepower, the Power Cat can sail at a cruising speed of 20 knots in a very pleasant way. 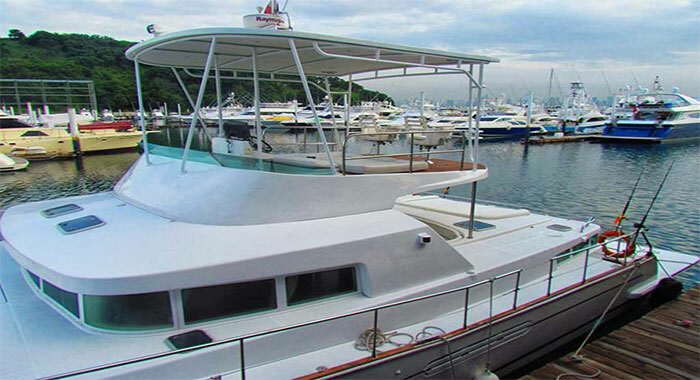 For a chance at the 43' Power Cat Yacht experience, give VIP in Panama a call today!